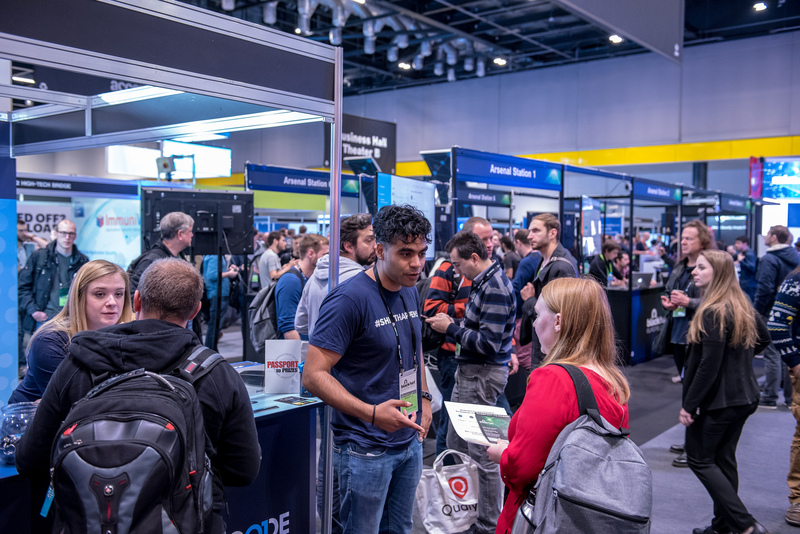 The Business Hall at Black Hat Europe provides the opportunity to network with top security experts, the world's most cutting-edge researchers, and the region's leading solution providers at Black Hat Europe 2018. The 2018 expansion brings more opportunities for attendee, vendor and community engagement, including two Business Theaters, Arsenal, the Black Hat Store, and the Business Hall Networking Lounge. More than 40 open-source tools are expected at this years showcase. Developers will present their tools in interactive, conversational demonstrations. Meet with a variety of sponsors providing solutions for endpoint security, threat detection, security testing and more. Before and during the event, check out the "Who's Hiring Guide" on our website (link coming soon) and our Mobile app (link coming soon) to connect with companies looking to hire top talent. Connect with world-renown researchers, security professionals and solution providers to build your network over through informal meetings over food and beverages in a relaxed environment. Business Hall Theatre presentations will share everything from war stories of interconnected devices and geopolitical threats to GDPR initiatives and adaptations for the evolving security landscape. Get your Black Hat branded merchandise, T-shirts, hoodies, gifts, and more in the Merchandise Store. Merchandise is only available for purchase on-site. Located in the Business Hall, the store will be open Wednesday, December 5: 10:00-18:30 and Thursday, December 6: 09:00-16:00.